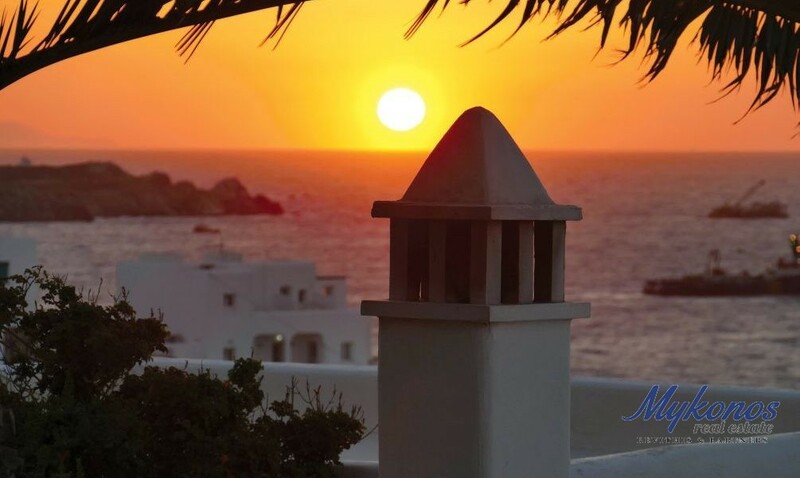 The Villa experience is about memories — unforgettable memories that have been made and the beautiful memories that are possible. 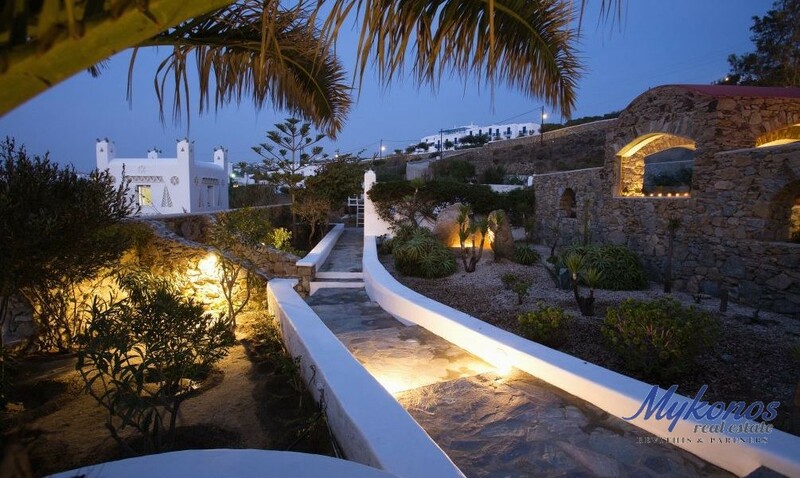 Tucked in a serene corner near Mykonos Town, this amazing villa offers the details the discerning traveler seeks including award-winning architecture, design, atmosphere and service. 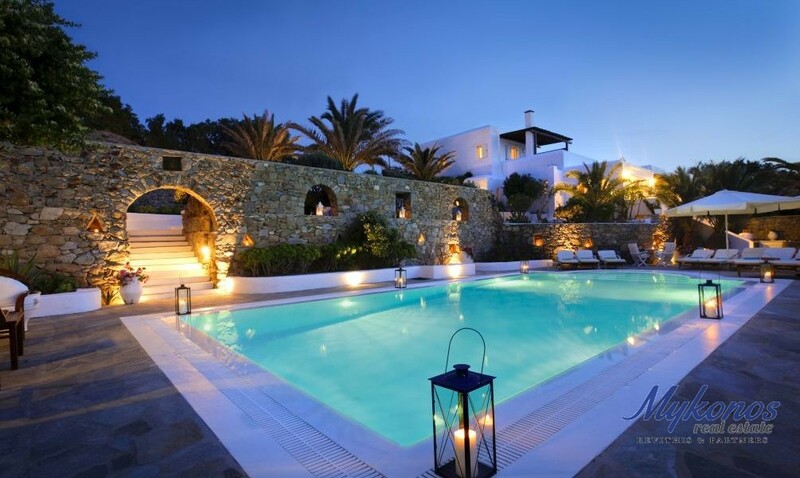 The care, thought and attention we have given to our villa is one reason we’ve been rated as one of the top 20 Great Villas on the Greek islands by Conde Nast Traveller. 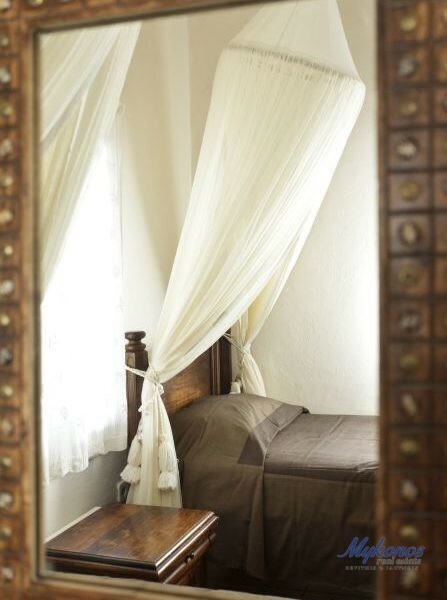 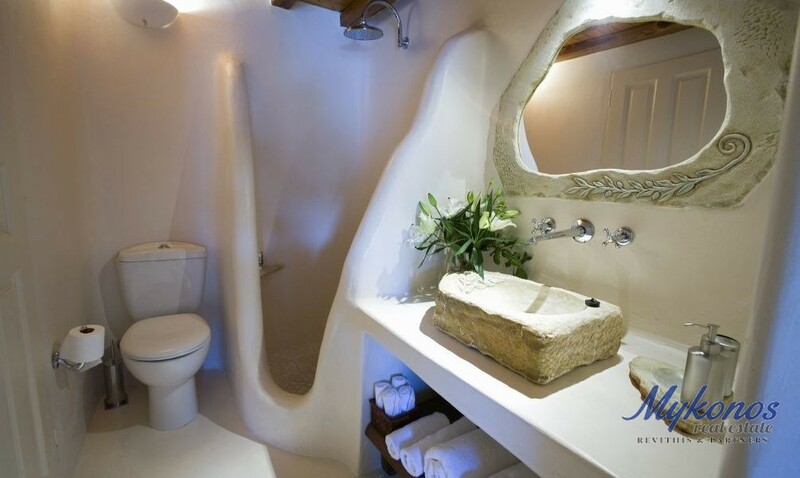 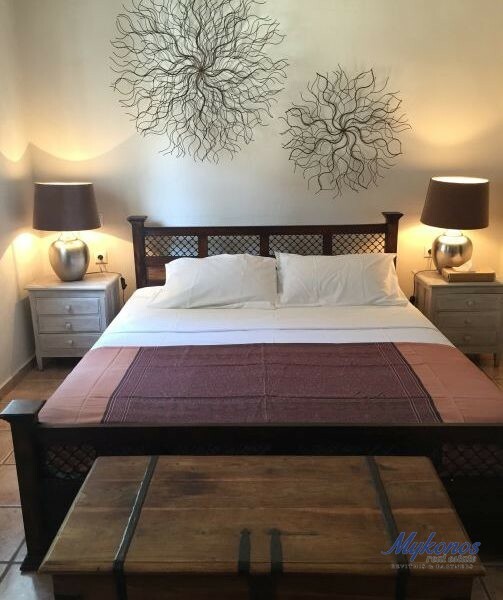 This five-star hospitality and luxurious property accommodates up to 10 people in five separate bedroom areas. 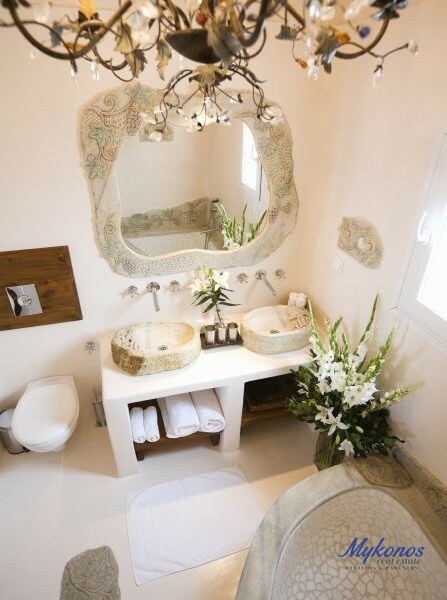 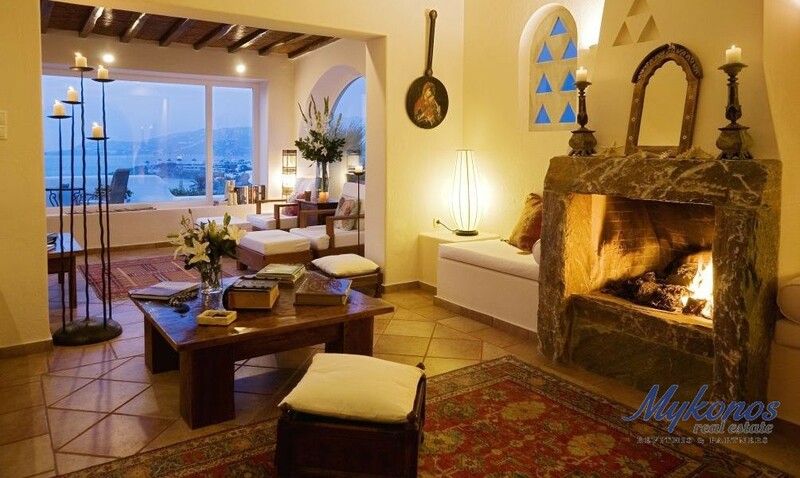 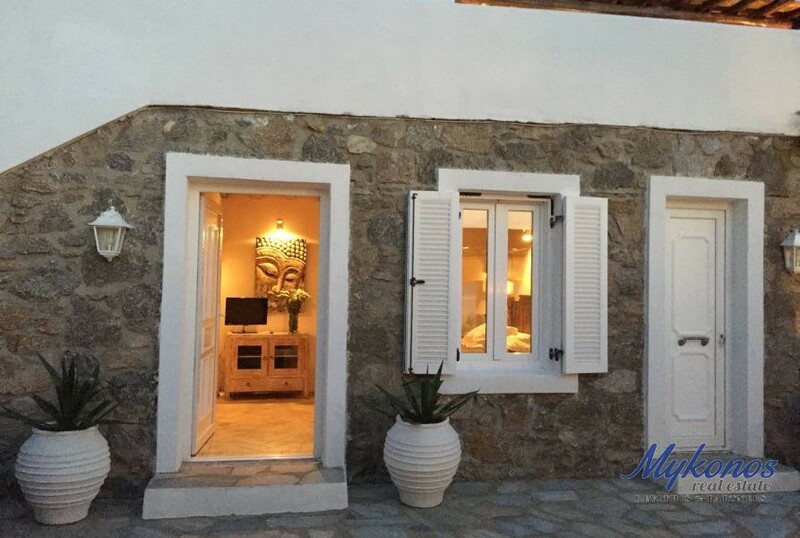 The villa is an example of fine Myconian whitewashed architecture, decorated with handmade furniture and elegant Greek details in its design. 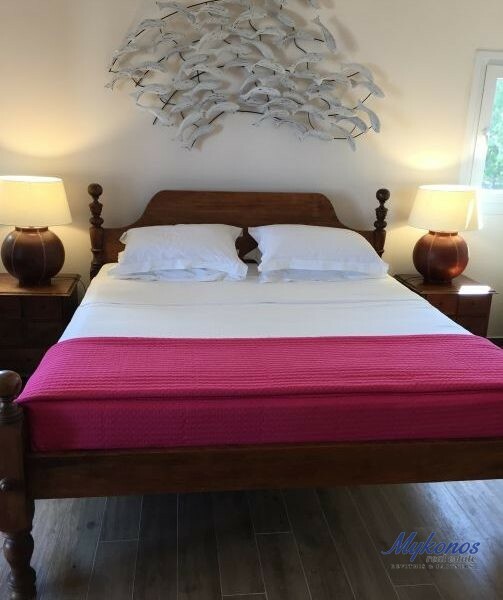 The outdoor spaces are awash in colorful bougainvillea flowers and lush plants offering a secluded getaway feeling to your experience, as you holiday on one of the most famous getaway islands in the world. 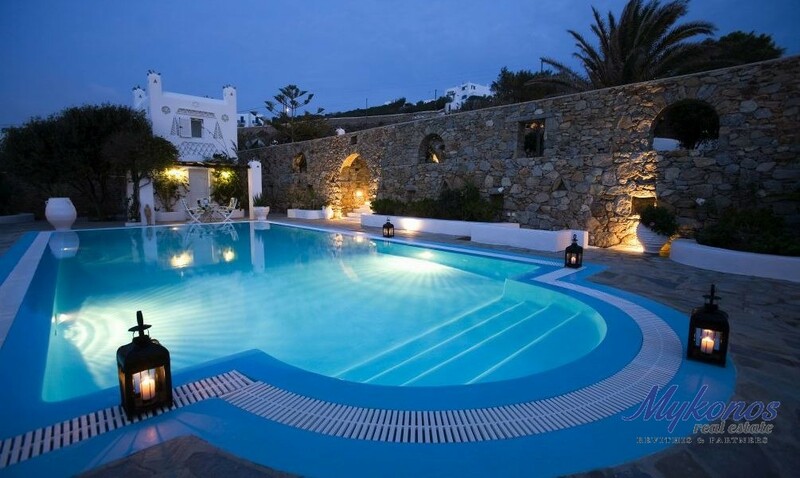 Sunbathe by the private pool, indulge your body with a soothing massage under a pergola, or sip cocktails gazing at the beauty of the island’s famous sunset. 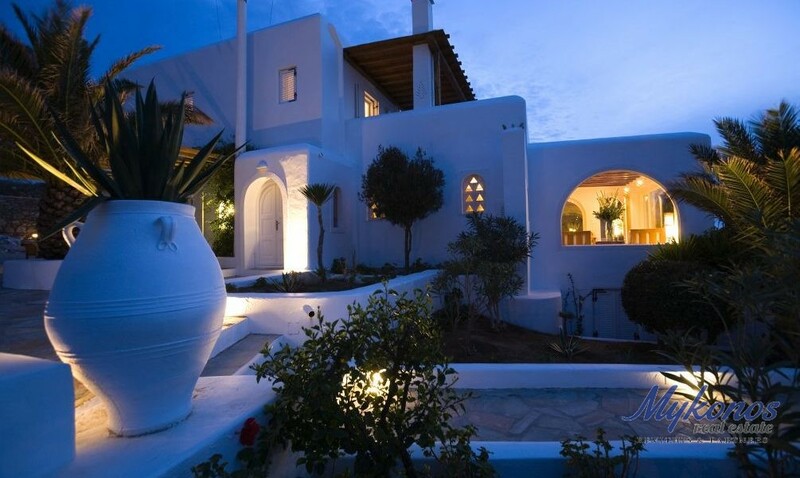 What truly takes our Greek island villa experience to another level is the undivided attention and warm hospitality that each guest receives from the in-residence staff. 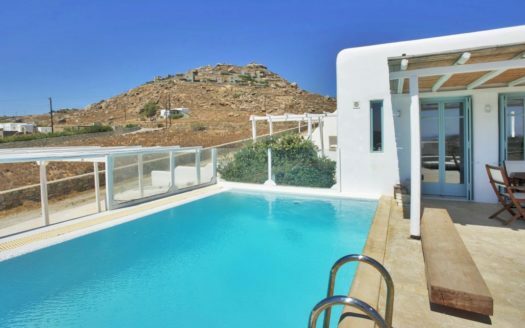 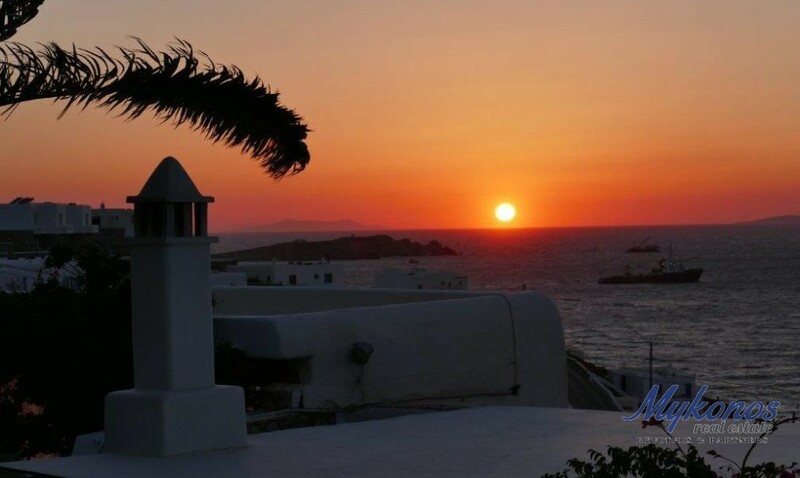 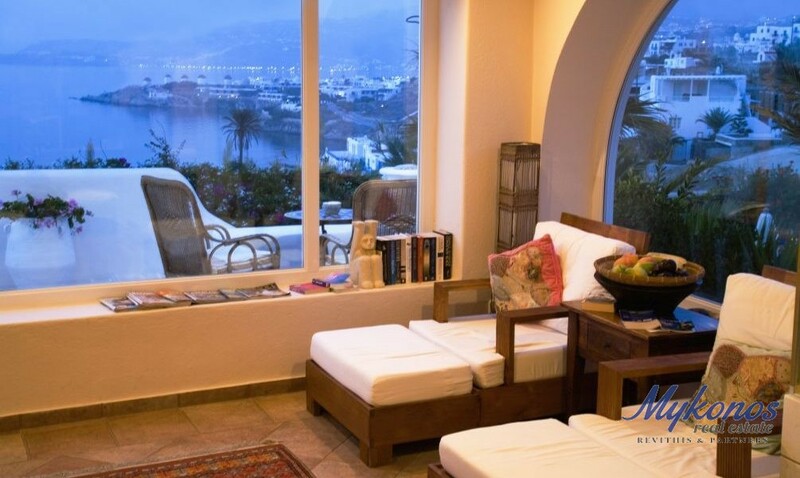 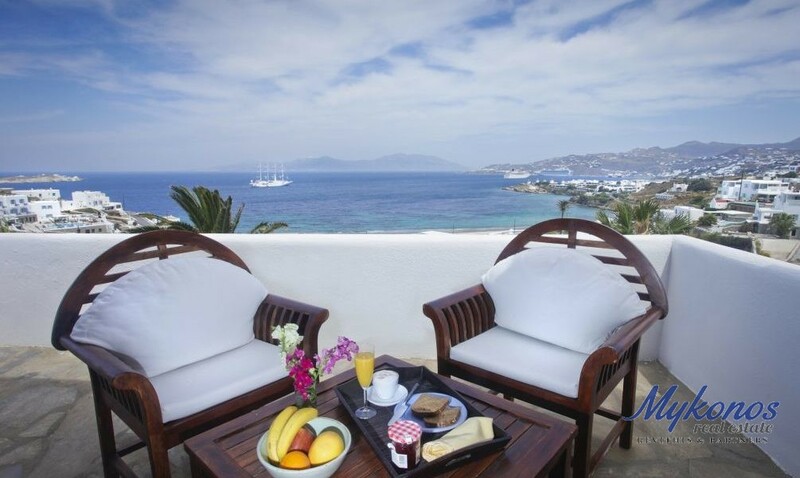 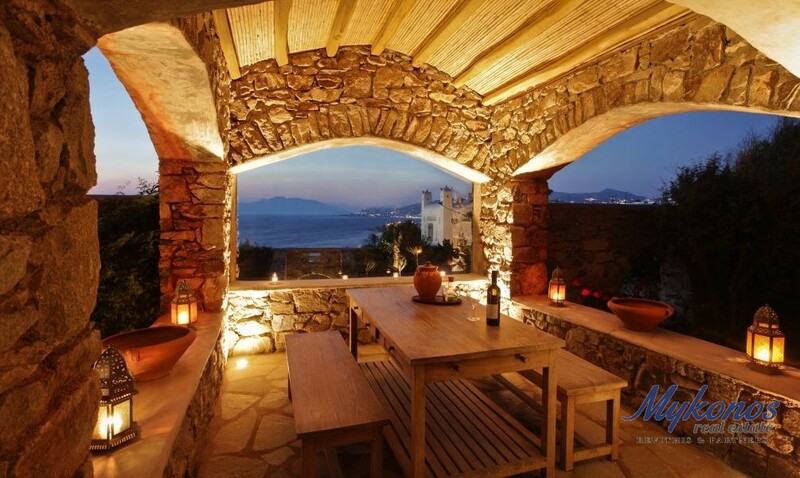 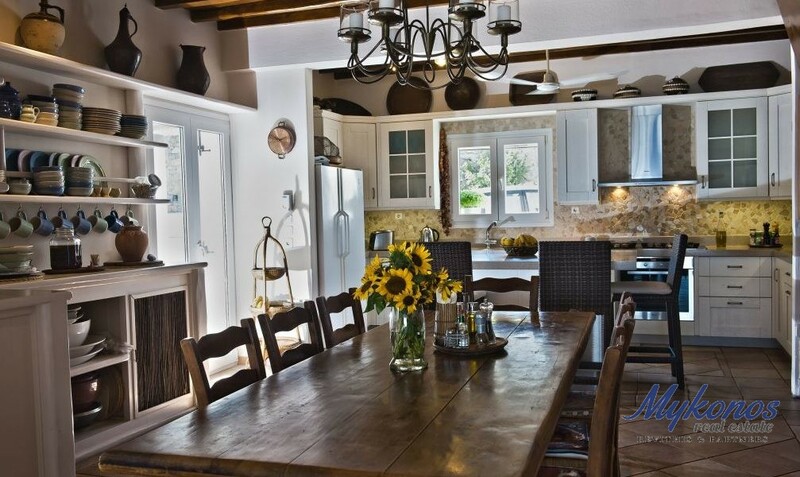 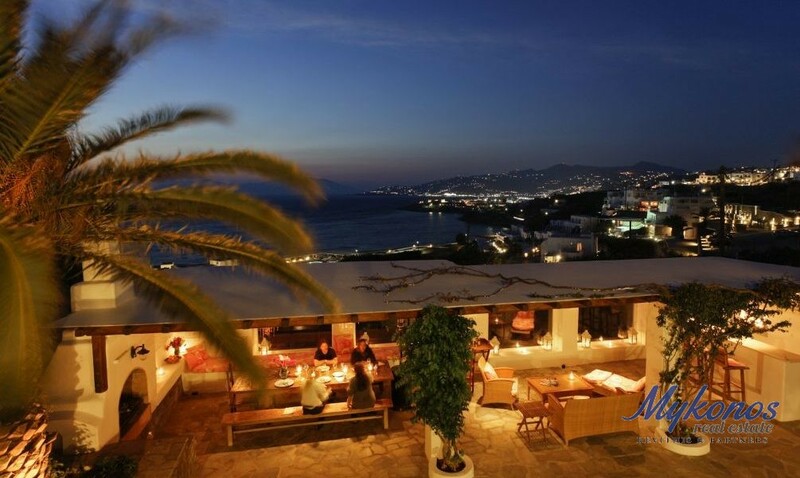 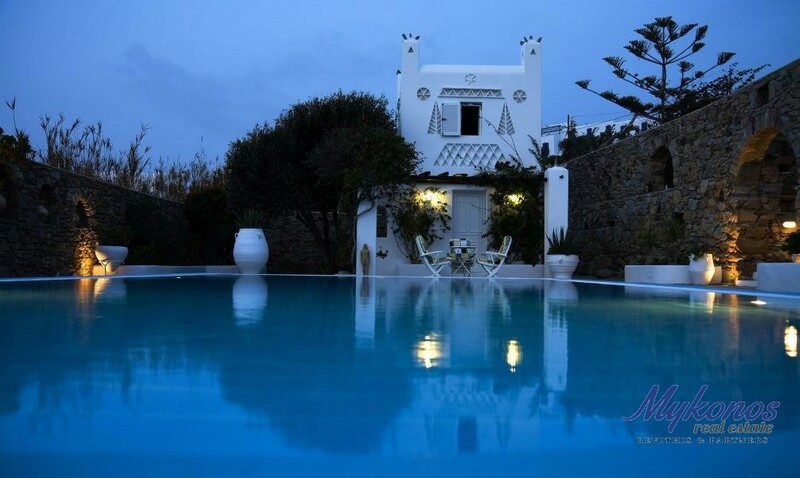 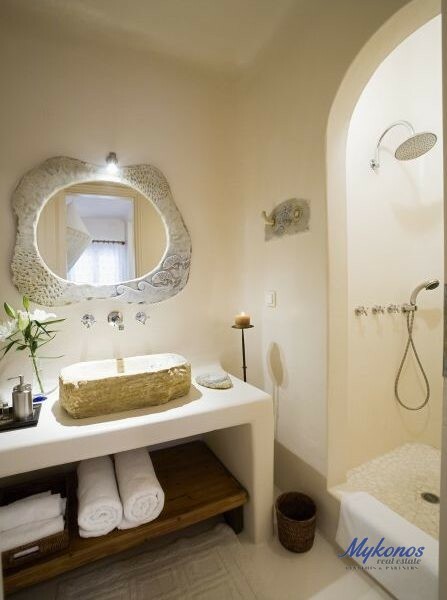 The Villa is conveniently located within easy walking distance of the charming Mykonos Town and a picturesque beach. 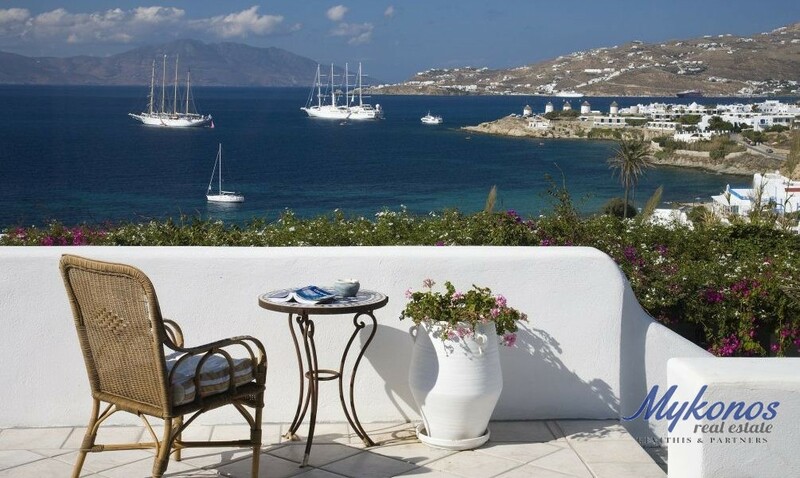 The villa is open to breathtaking views of the scenes Mykonos has become famous for – its sunset, its harbor windmills and its beautiful, traditional whitewashed main village.